Happy Friday everyone! I hope you have had a great week! Mine has been lovely! I have been with my husband's family in Fairmont for the week - they have a beautiful cabin on the river! If you follow me on Instagram (any if you don't - find me here @reneeclementine) then you have seen how gorgeous it is here! We don't have any wifi or anything so we have been enjoying a lot of family time! 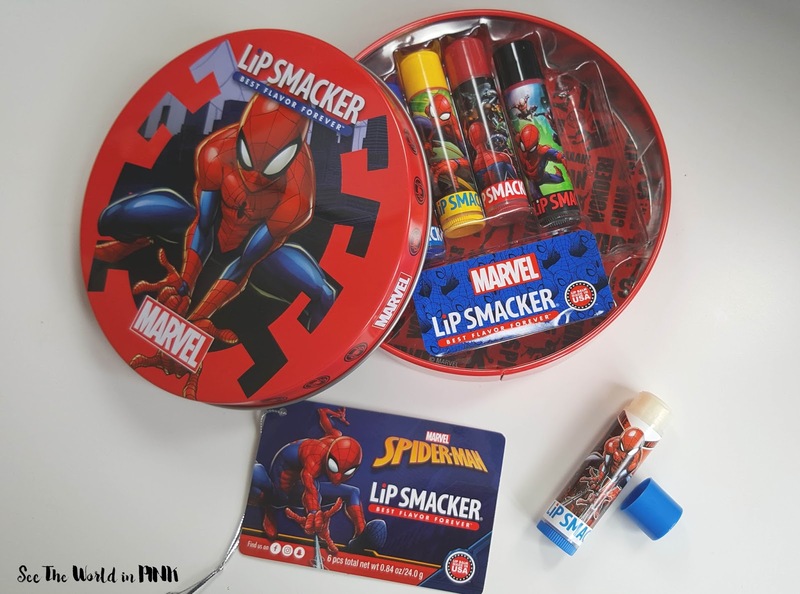 Today is the day the new Spiderman movie "Spider-Man: Homecoming" is released - for all you super hero fans out there, Lip Smacker has released some Spiderman lip balms for the occasion! This Spiderman Tin is $12.95 and includes flavors: Super Strawberry, Scientific Blueberry, Radioactive Lemon, Crime Fighting Cherry, Ultimate Cinnamon, and Vanilla Frosted Web. I saw this and though how perfect for my son for back-to-school (he's 12 and loves super hero movies! ), but I tried the Vanilla Frosted Web and it is so good that I have to at least keep that one for myself!!! 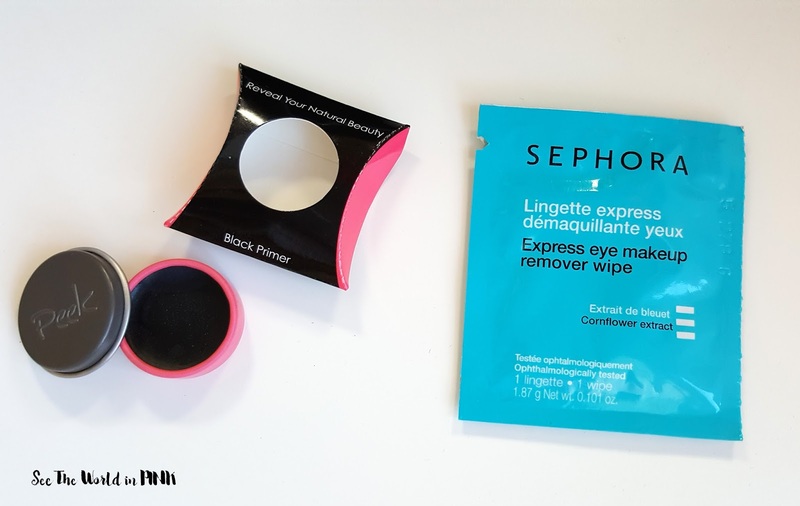 These are available at Walmart, Loblaws, Toys R Us and Lawtons. 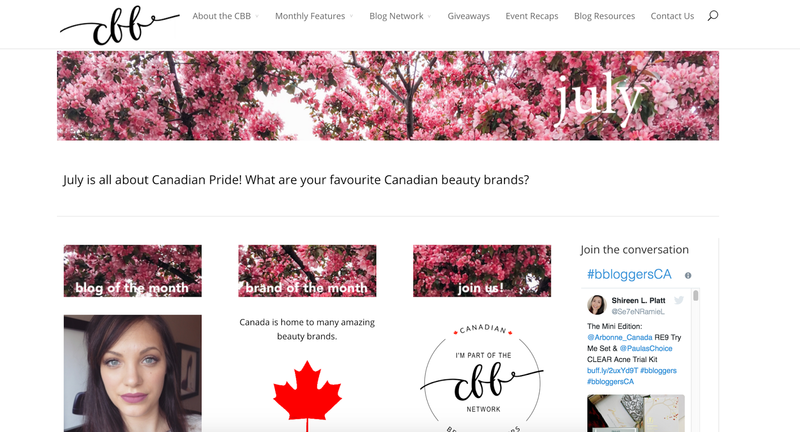 I just found out that I am the "Blog of The Month" for July for the Canadian Beauty Bloggers! I am so proud of where this blog has come over the past few years so it feels so cool to be recognized for that! I hope to make this month extra special here on the blog!!! Thanks to the CBB - it is such a great group! Check out the site for a whole directory of all the bloggers, brands of the month and themed features every month! It's a great place to find new blogs to love! 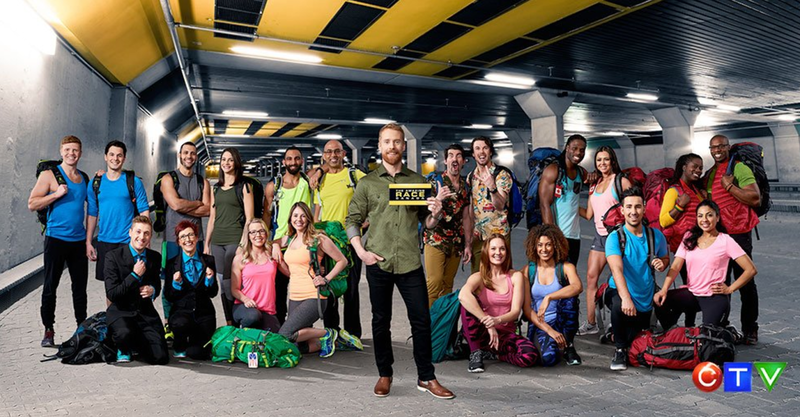 This week the Amazing Race Canada started - I love this show, but because we have been away I haven't watched it yet! But fill me in - who is your favorite team! Going on this show is a total dream of mine - but sadly every time auditions come up we have something going on with my husband or I (knee injury, pregnancy, etc.) - so we have to apply for the next season! I hope you all have a great weekend! As much as I love family vacation time, I'm always looking forward to coming home and getting settled again!